The holiday season is around the corner, so now is the perfect time to start planning your upcoming Christmas crafts! 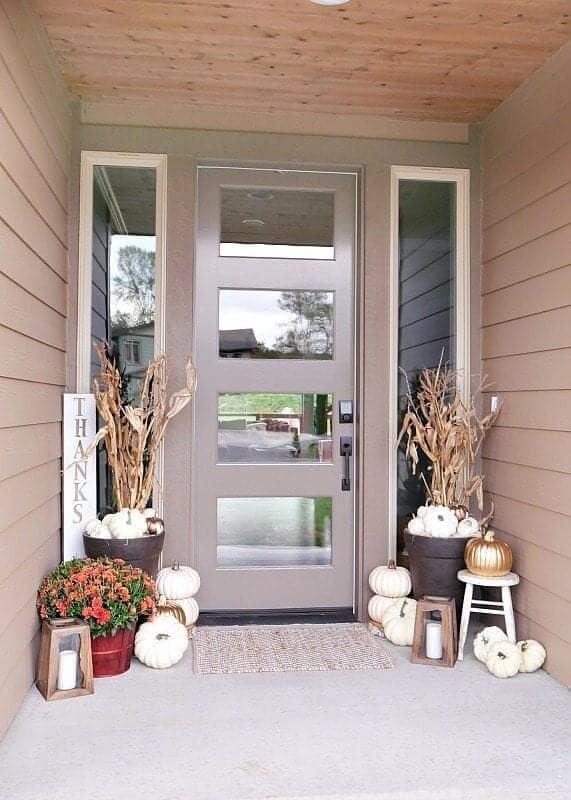 A wreath is the perfect option, because everyone has a front door (unlike a mantle or fireplace) and your style options are endless. 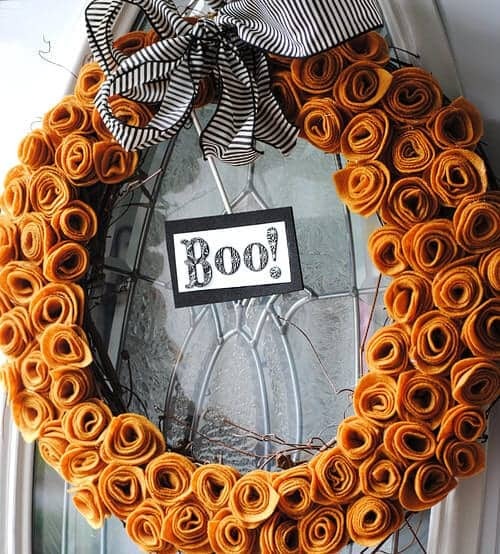 Glossy or rustic, traditional or modern- you can easily craft and create a wreath that fits your decor. Here are some of my favorite options for this upcoming Christmas. 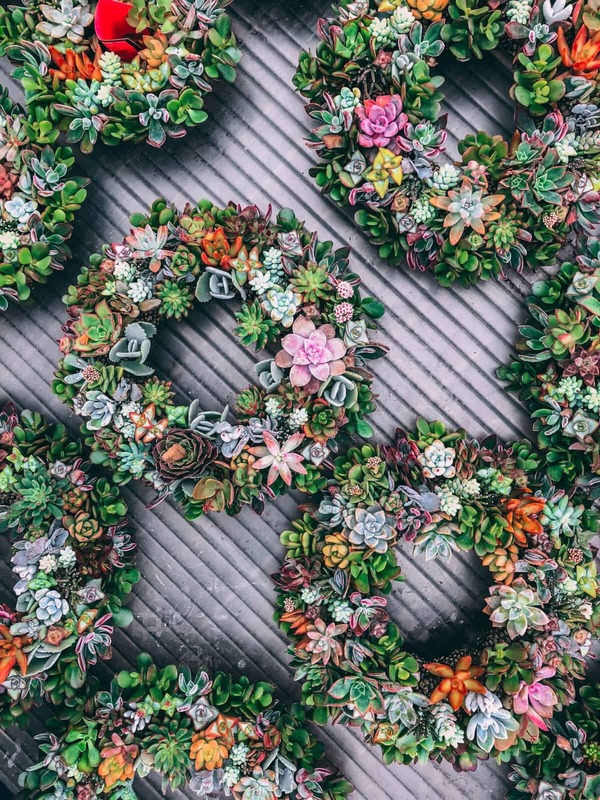 Greenery brings the most beautiful elements to your home, especially during the holidays. 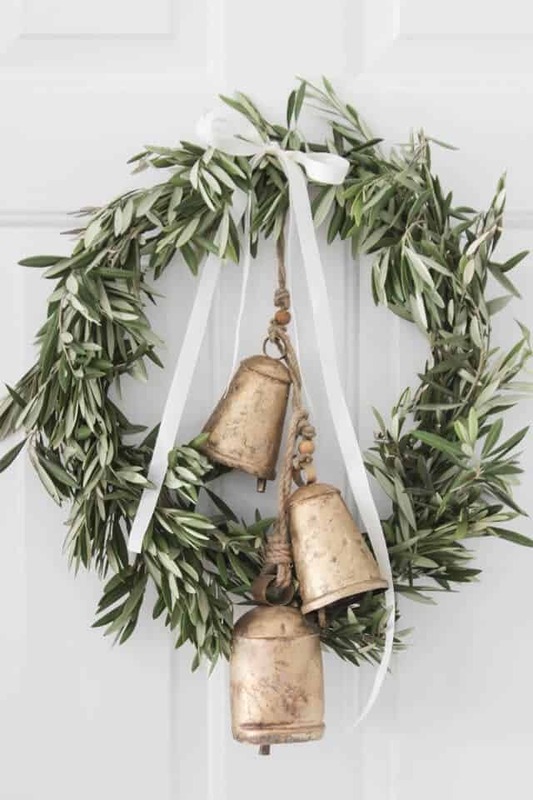 This olive branch wreath with rustic looking bells, is homemade and simply done. Olive branches are wound together using floral wire and then hung to perfection, with the simple bells and ribbon. This is perfect for your minimalist or farmhouse decor. Check out more of this green Christmas design at ShadesofBlueInteriors.com. Ho ho ho! There are few things as iconic as Santa is when it comes to Christmas. 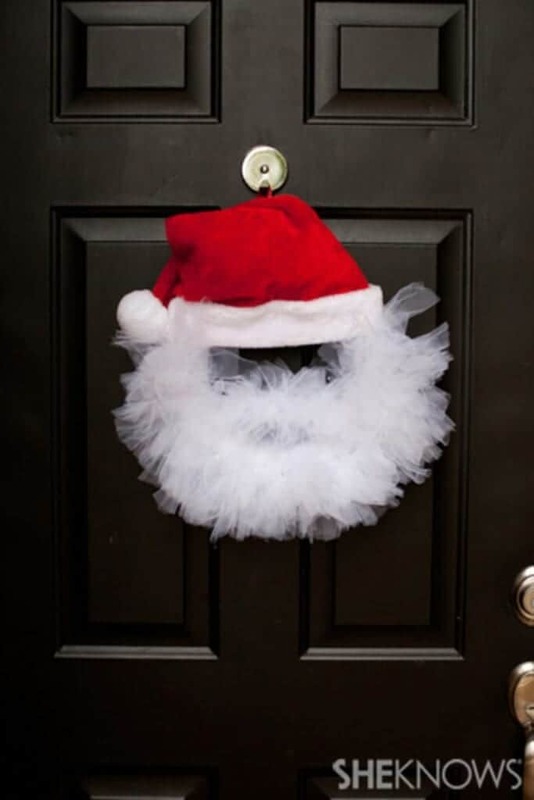 This bearded wreath is surprisingly simple, made from a foam wreath, hat and tulle. I’m willing to bet you can get everything you need at the dollar store and have a pretty fun afternoon putting this wreath together! Check out SheKnows.com for the easy tutorial! 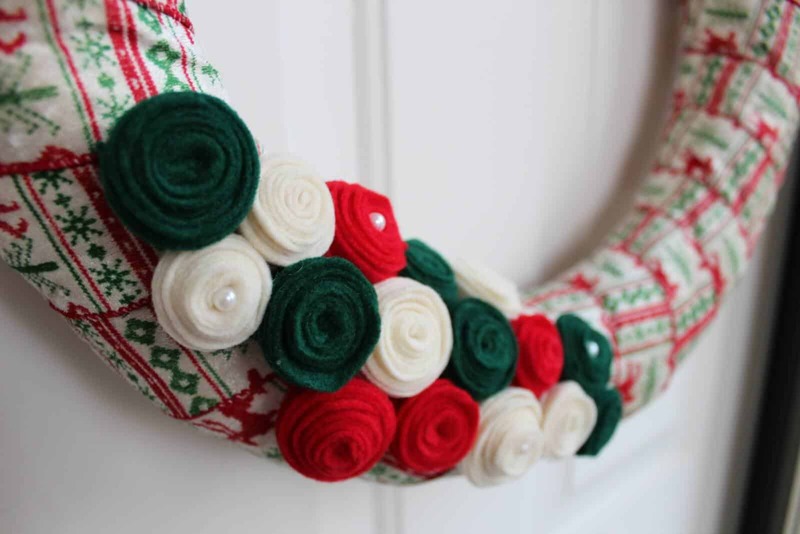 This fabric wreath is one of our very own from Life As Mama! The best part about it is it’s EASY! Oh, and fully customizable. 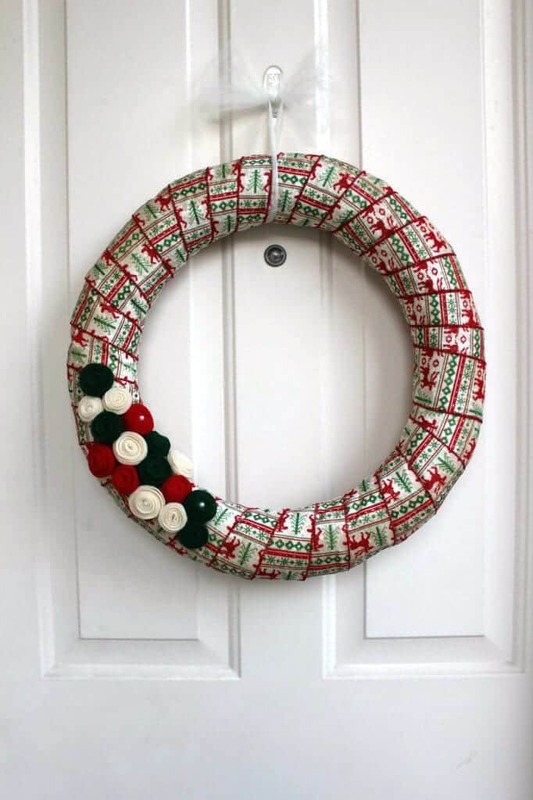 All it takes is a straw wreath, the ribbon of your choosing and any extra goodies like felt flowers, fake berries, pinecones or other baubles. You can easily make this in an afternoon and for under $20. 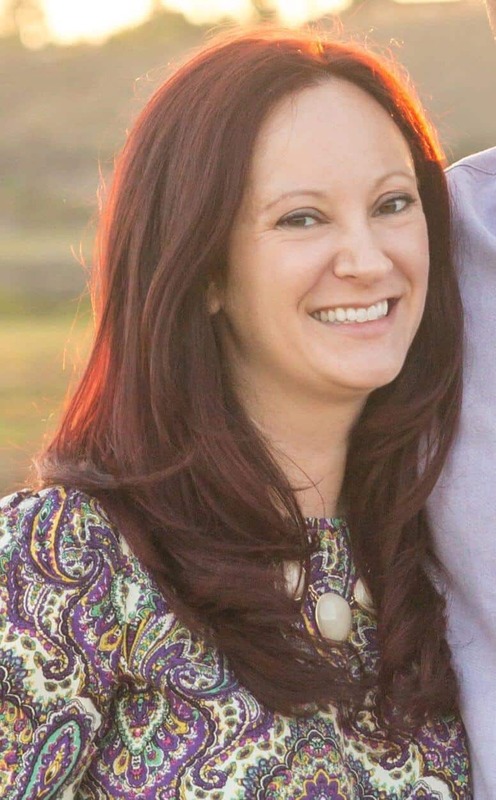 Check out our post on all the details at LifeAsMama.com. Cabin in the woods, a winter wonderland, or you just want to live vicariously, this Let It Snow wreath is seriously adorable. It’s made using a Styrofoam wreath, plaid fabric strips, some funky “snow” yarn, sliced wood pieces and bottle brush trees. 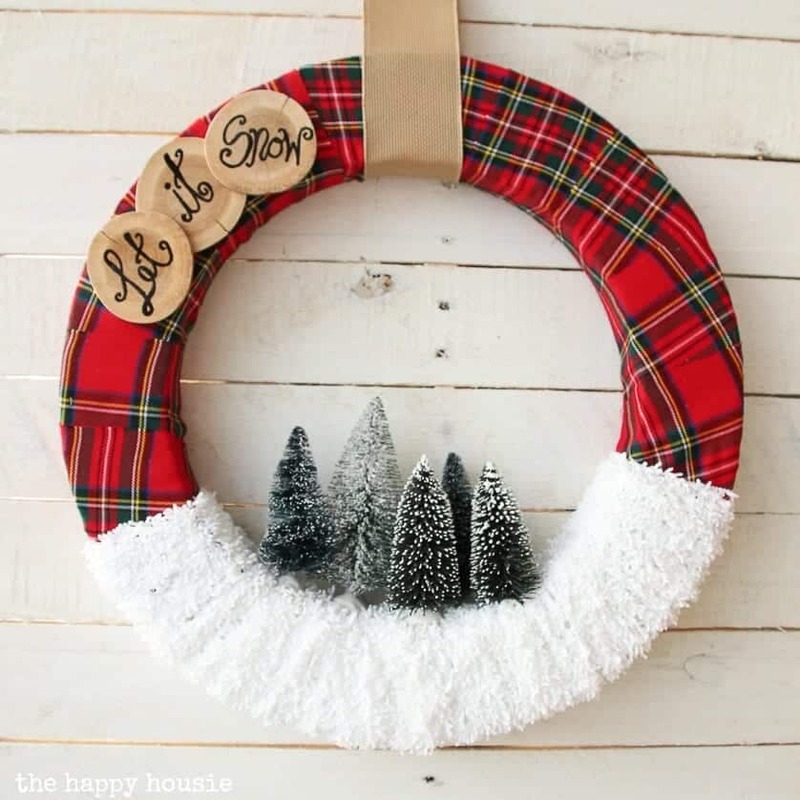 This is the perfect holiday wreath and it’s on my list of DIY’s already this year. This vintage style wreath is made possible by the beautiful greenery, brightly colored and traditional bulb ornaments and old school bulb reflectors. While those may be a little hard to come by these days, you can still get this look by embracing the many colors of Christmas and some good old fashioned pine. 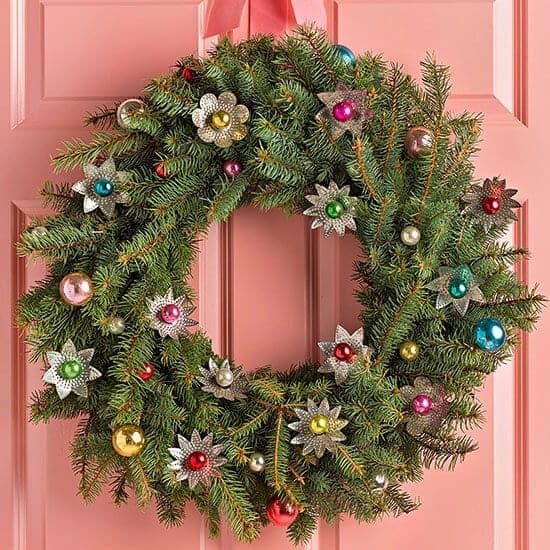 Head to BHG.com and check out 40+ more Christmas wreaths! 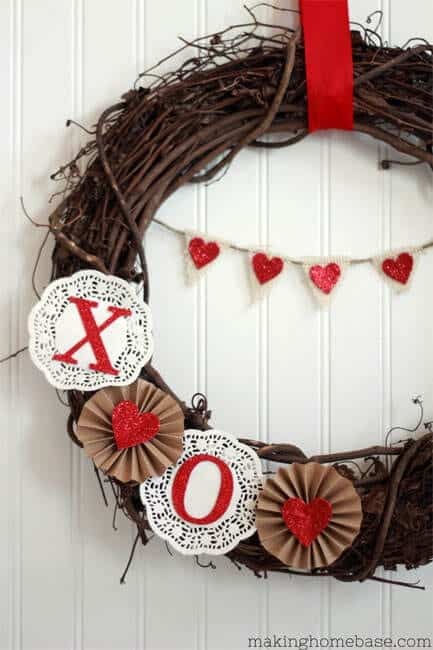 This rustic wreath is perfect! 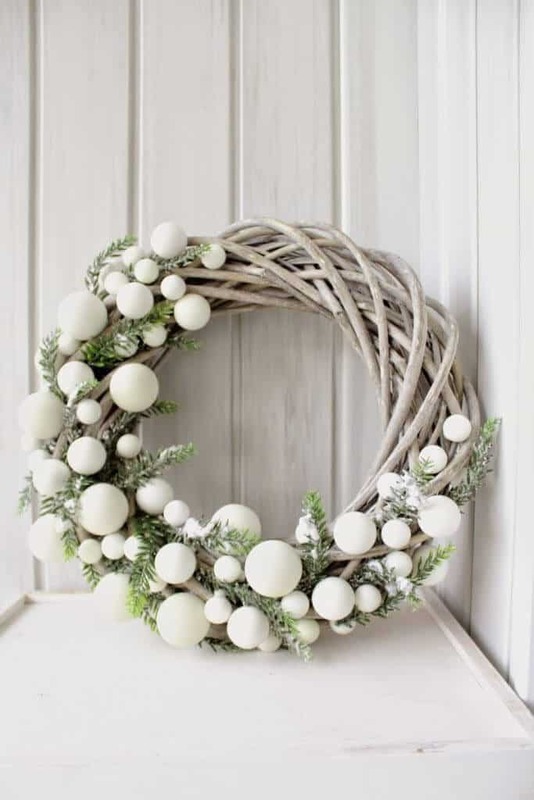 Whitewashed wood, flocked greenery, and mini bulb ornaments give this wreath a frosty feel. I’m willing to bet the rest of the white balls are made from Styrofoam, making this a perfectly doable craft for your home. If you love this look, you’ll have to get crafting because they are made in Poland! Check out E-Decofleur.blogspot.com to get some more inspiration. I love hydrangeas and that’s why I can’t say no to this gorgeous wreath. 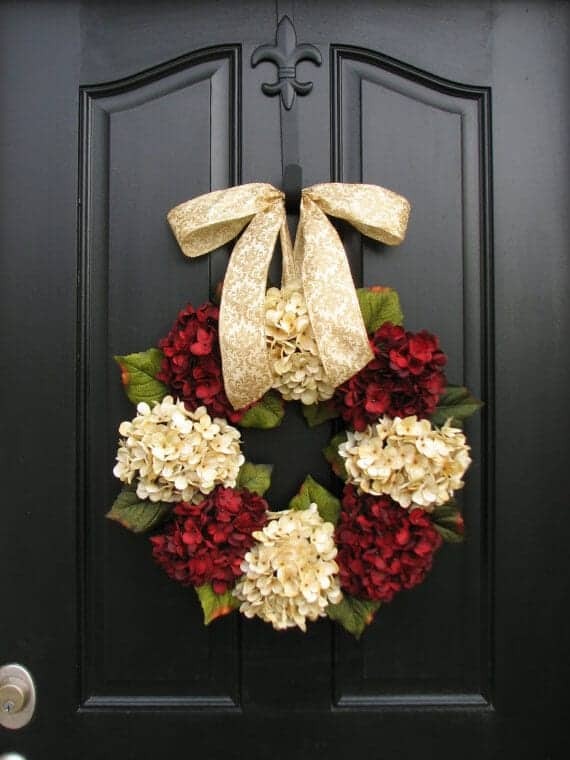 Traditional colors of red, cream and green and the fullness of the hydrangea blooms give this wreath a fullness that makes you just feel all warm and cozy inside. 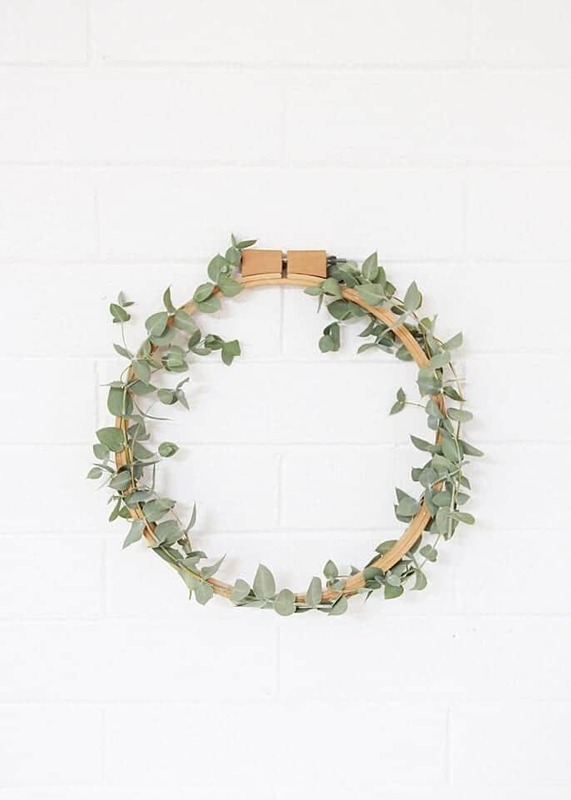 This is a super simple DIY that you can make using store-bought hydrangea’s and a grapevine wreath. I’ve made a similar Spring wreath and it cost less than $20! Want more Christmas Decor ideas?